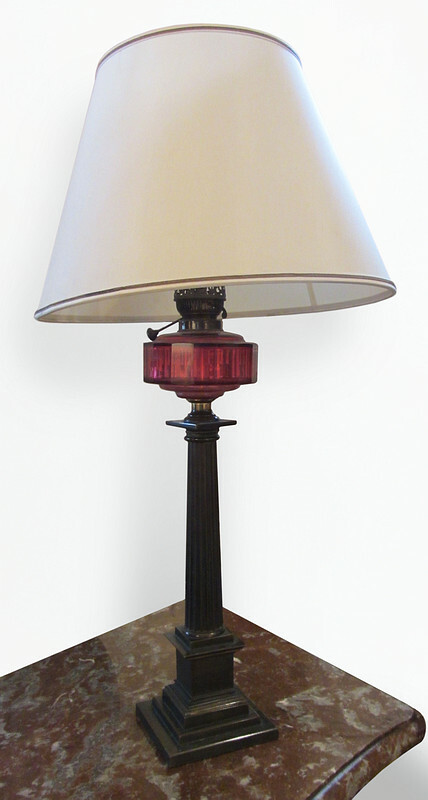 Lamp with cranberry glass and brass column base. Formerly oil lamp. Now electrified.